Within Teamwork Desk you have the option to enable or disable trust customer images. 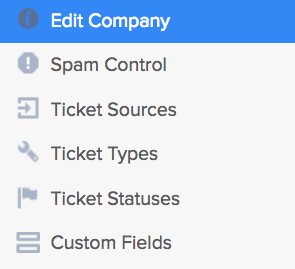 This option is enabled by default and when left enabled images will show within tickets as they always have. If you decide to disable this feature then any images within tickets will be hidden. Messages with hidden images will be shown as below, giving you an option to show them. Clicking Show images for this customer will immediately load the images. Additionally, all future images from this customer will be loaded without prompting. To disable images automatically showing, click on your profile icon to the top right of Desk and select Settings. In the setting area, go to the Company tab. Select Edit Company in the left pane. Under Message Settings you can toggle Trust Customer Images on or off.